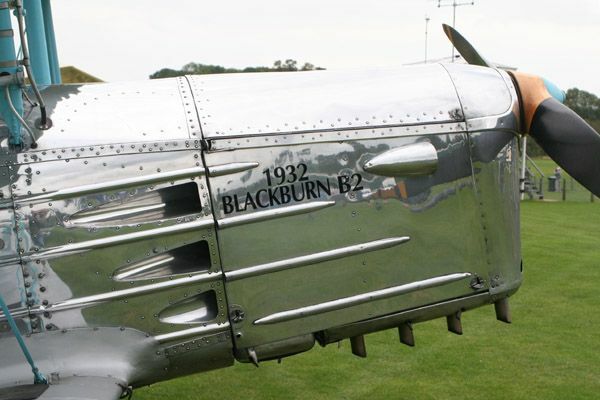 Blackburn B2 - a 30's bipe with a whole lot of shiny bits! Looks like the coming winter's project has finally chosen itself! A few weeks back we journeyed down to Old Warden to have a peek at the rather photogenic Blackburn B2 - resplendent with silver doped wings, a polished aluminium fuselage and light blue struttery. Looks absolutely wonderful on the ground - and even better in the air! Looks like the die is cast then! A word in the right ear on the scale-biased forums saw several 3-views arrive in my inbox in short order, the best one being this one by Dennis Bryant. So out came the crayons and calculator, and away we go! 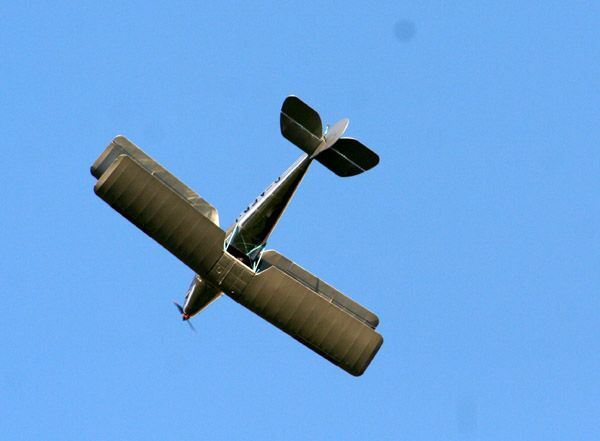 The upper and lower wings are virtually identical, although only the lower surfaces are fitted with ailerons. 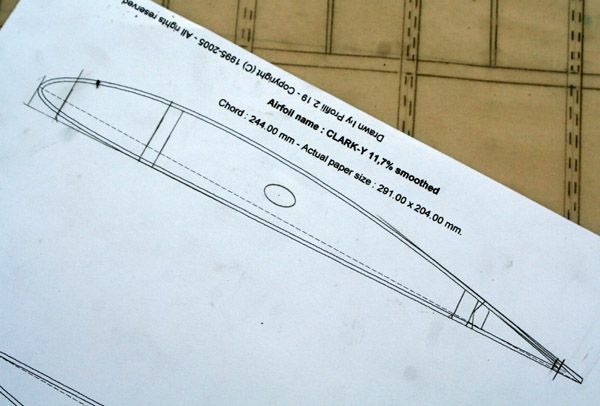 Profili software generated a nice 12% Clarke aerofoil, and I've drawn in the spars etc. The tailplane is set to be made out of 1/4" stripwood with 1/8 capstrips to give it some thickness. 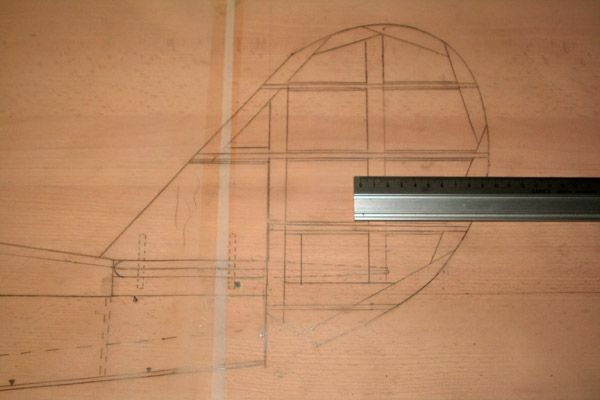 As soon as I've roughed out the spars, I'll take a look at that deceptively curvaceous fuselage! Was looking out for you making a start on this plane so will be following your every step. Enjoy the design and build of this model and Iam looking forward to lots of pics. Thanks for the encouragement! 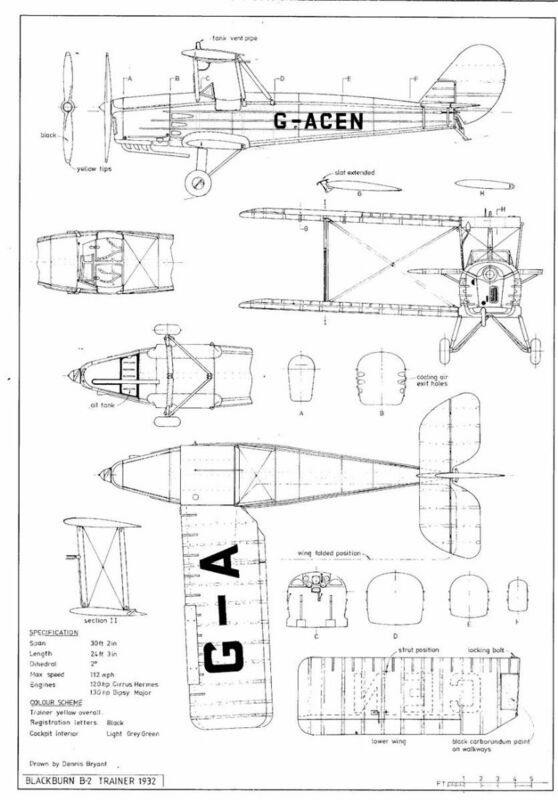 The plan is to build the fuselage from balsa sheet, and then tissue and dope it to provide a suitable base for a layer of Flair Aluclad. This is the self-adhesive film I used on the cowl area of the Cygnet. It's a very malleable material, and can conform to gentle compound curves with a simple burnishing. Luckily the B2's fuselage is multi-panelled, so I'll be able to apply it in quite small sections - although I will have to apply it after those oh-so-prominent strakes have been added. 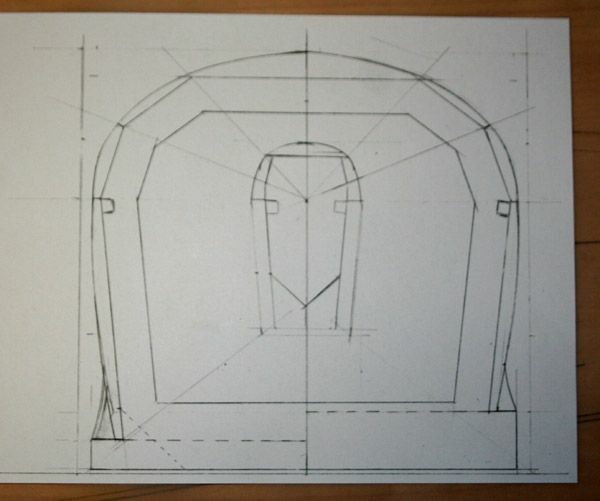 Mind you, first I have to decide on the actual fuselage structure itself! 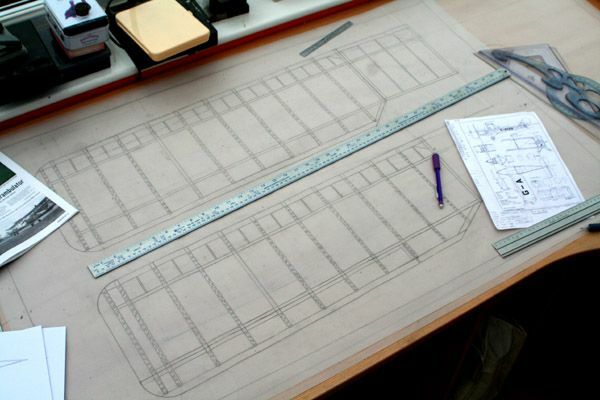 By the way what a great 3view that will be a great help designing the Blackburn. To me a tisseu and dope finish would be to soft and you will have easily dents during transport on the model specialy with such a big surface of alu finish. I would use a 25gr glass finish on my models which make it a little less vulnerable. Well we are still a long way from there but always good to take a look on the options. 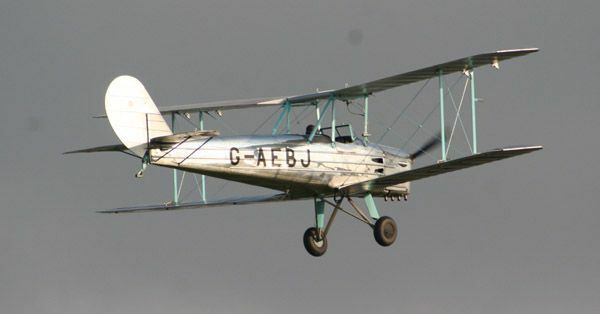 Another interesting subject you have there,looks a little like a Stampe bipe.As regards to when you do cover how about nylon stockings,covered in dope? Read it in a mag AMI Along time ago,gives a nice light and durable finish! I do have a sheet of 25g cloth squirrelled away in drawer, but I'd go for WBPU as a resin instead of epoxy. Mind you, the weave would still need a fair bit of filling first, wouldn't it? Steve, Nylon stockings? You should be ashamed of yourself! Iam also using PU in stead of epoxy and that works just nice. Iam using a thin brush to apply the PU in about 3 layers very thin and good brushed out so there is no shinny surface shown when brushing. Its about the same as with tisseu use to much and the paper will start to float and all the PU will be sucked in the wood and is of no use for the glass and makes it more heavy. The only thing I use the glass for is to make the surface tough nothing else. I think the trick with WBPU is to apply a couple of thin coats of dope to the bare wood first to seal it, and prevent it soaking up too much WBPU. I've also been directed to Mick Reeves own site. He sells ali sheet at far cheaper prices than the Flair product..
More scribbling has seen the fuselage sort of faintly roughed out. 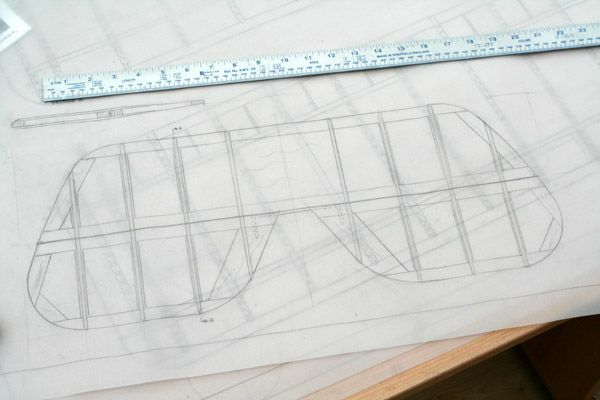 The fiddly part starts with trying to work out the fuselage cross-sections. I'm opting to use generously thick balsa for the sides and turtle deck, and then sand to an appropriate shape afterwards. Great seeing the drawing grow but why not do the sheeting in total with 3mm. 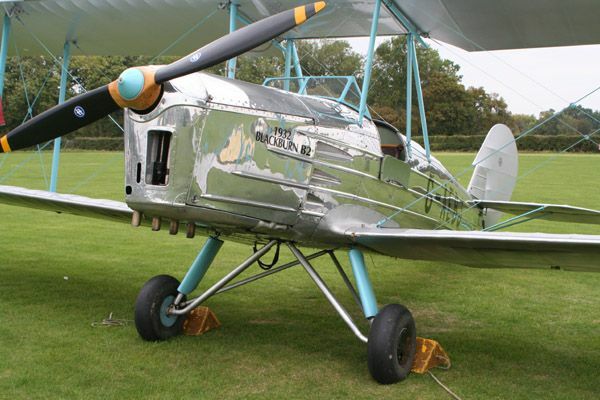 2 articles It's a metal tiger moth!!!!! Tim, if you drop me your address I can send you a corner of Mick Reeves self adhesive aluminium sheet if you want to look at it before you buy. I was going to suggest it but saw someone beat me to it. I remember when I used it (can't remember on what) I thought it was a bit fragile. I would be interested in knowing some of those scale based forums you mentioned- but better stick them in the PM too!! PM sent with my address. I was just interested to see where you looked. RCSB is one of my favourites, but I don't use it enough to justify paying for it. Unfortunately I didn't realise I only had a few free posts, and squandered them recklessly! 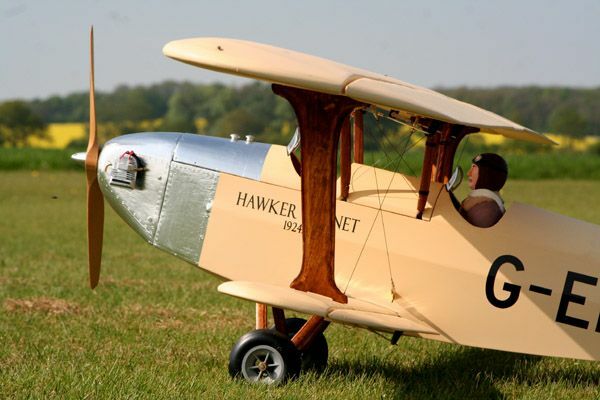 All Forum Topics > Tim Hooper plan builders > Blackburn B2 - a 30's bipe with a whole lot of shiny bits!